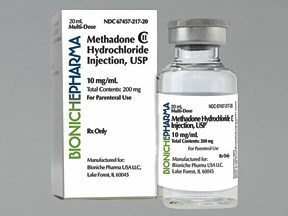 Methadone maintenance has been used in the United States for approximately 50 years as an effective treatment for opioid addiction. Yet many myths about its use persist, discouraging patients from using methadone, and leading family members to pressure patients using the treatment to stop. Dr. Vincent Dole of Rockefeller University in New York, who pioneered the use of methadone as an opioid addiction treatment, found his patients no longer craved heroin. They were able to return to work and school, and participate in family life and community affairs. As methadone’s use grew, the federal government decided it should only be dispensed in licensed treatment programs, which would provide a whole range of services such as counseling, vocational help and medical and psychiatric treatment. This creation of the clinic system developed into a double-edged sword. On the one hand, it was advantageous to have many services available in the methadone clinic, but very stringent regulations came along with the clinic concept, including the requirement that patients come to the clinic daily for their methadone. Clinic hours often conflict with patients’ work schedules, and make it very difficult to take a vacation. In some areas of the country, the clinics are few and far between, requiring traveling many miles each day. The biggest and probably most important obstacle has been the stigma associated with being seen entering or exiting a methadone clinic. In an attempt to reduce that stigma, I present the six most common myths about methadone and explain why they are incorrect. Myth #1: Methadone is a substitute for heroin or prescription opioids. Methadone is a treatment for opioid addiction, not a substitute for heroin. Methadone is long-acting, requiring one daily dose. Heroin is short-acting, and generally takes at least three to four daily doses to prevent withdrawal symptoms from emerging. Myth #2: Patients who are on a stable dose of methadone, who are not using any other non-prescribed or illicit medications, are addicted to the methadone. Patients taking methadone are physically dependent on it, but not addicted to it. Methadone does not cause harm, and provides benefits. People with many common chronic illnesses are physically dependent on their medication to keep them well, such as insulin for diabetes, inhalers for asthma and blood pressure pills for hypertension. Myth #4: Methadone rots teeth and bones. After 50 years of use, methadone remains a safe medication. There are side effects from taking methadone and other opioids, such as constipation and increased sweating. These are usually easily manageable. If patients engage in good dental hygiene, they should not have any dental problems. Myth #5: Methadone is not advisable in pregnant women. The evidence over the years has shown that a pregnant woman addicted to opioids has the best possible outcome for herself and her fetus if she takes either methadone or buprenorphine. A pregnancy’s outcomes are better for mother and newborn if the mother remains on methadone than if she tapers off and attempts to be abstinent during pregnancy. Methadone does not cause any abnormalities in the fetus and does not appear to cause cognitive or any other abnormalities in these children as they grow up. Babies born to mothers on methadone will experience neonatal abstinence syndrome, which occurs in most newborns whose mothers were taking opioids during pregnancy. This syndrome is treated and managed somewhat easily and outcomes for the newborn are good—it is not a reason for a pregnant woman to avoid methadone treatment. Mothers on methadone should breastfeed unless there is some other contraindication, such as being HIV-positive. Myth #6: Methadone makes you sterile. This is untrue. Methadone may lower serum testosterone in men, but this problem is easily diagnosed and treated. These myths, and the stigma of methadone treatment that accompanies them, are pervasive and persistent issues for methadone patients. They are often embarrassed to tell their other physicians, dentists and family members about their treatment. They may feel they are doing something wrong, when in fact they are doing something very positive for themselves and their loved ones. These misperceptions can only be corrected with more education for patients, families, health care providers and the general public. Edwin A. Salsitz, MD, FASAM, is Medical Director, Office-Based Opioid Therapy at Beth Israel Medical Center in New York. 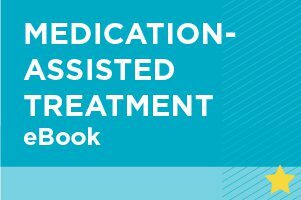 Learn more about methadone and other medication-assisted treatment solutions to help your loved one overcome an opioid addiction. My husband has been on methadone for over two years but he is now on to 5mg started at 30. My question is can a patient on methadone feel actual pain at the end of every day? My husband doesn’t work and I’m stuck paying for his marijuana habit. When I’m broke AF trying to save up gas money to make my daily 40 mile drive to work and back it’s hard. He doesn’t even care. He gets mad at me saying I wouldn’t understand and he is right. I don’t. So I’m glad I found this. Hopefully someone can help me. I can’t keep tossing money away like that. At LEAST 50$ a month and he gets mad at me if I don’t just cough up the money. If it actually painful then guess I’ll have to deal with the current hand we’re held. Thanks for your message Jane. We have forwarded your message to one of our helpline specialists who can help better answer your question, and she will be reaching out to you shortly. Methadone does not enter your bones or damage your teeth. In doses above about 50mg you will not feel the effects of heroin or any other opioid drug for that matter. Spending money on opiates to try and gain a high on this dose is just wasting your money and you’d be better sending your cash to me so I can put it in my account and laugh at your gullibility. Lol…..Everything you said is very TRUE !!!! How ever one wants to improve they’re life. But consider also many have found methadone much more difficult to kick than heroin. Who ever wrote this says that. A. People don’t get high on methadone? Maybe not after you have a tolerance. You will get high as hell if your not already using heroin. B. Saying it’s not addictive, have obviously not watched someone tapper off it to fast, or stopped taking it all together. Odd, it’s just like watching someone kick heroin only drawn out much longer. If your attending a 12 step program base on abstaining than you are not clean at that program. Most at these programs consider it a tool for harm reduction and not clean time. So keep that in mind if you have chosen to attend a program base in abstinence. They may not consider you clean. NA for example, may chose not to let you share because of this. Depends on group, may chose to speak with you before or after the actual meeting. Im sorry Roy…but any NA meeting will let you share regardless of being on methadone. A few members may say that you are NOT clean if on methadone but the ones who have been down the same road useing herion, they will totally understand & be proud of the methadone maintenance person for even showing up to the meeting !! I dont know where you are from but that is unheard of where i am from. Quit discouraging people NOT to go to meetings if on methadone. Thank you for this article. I have recently began the MMTP and every issue you adressed has been of upmost concern . I can admit, I had believed the stigma attached to being on Methadone. 2- I do feel some what less than for being on the program. After reading this article, perhaps more education from professionals like yourself will begin to change my thinking. i’d like to say thank you for writing such an honest, informative article. I’m 2008, I overdosed due to opiate abuse and by the grace of god, I’m alive and well. So tomorrow I will walk into my clinic with my head held high. My 12 year son will get to have his mom alive, sober and happy. So…lMethadone, suboxone .. and all the medical professionals that assist us daily on our journey .My son and I Thank You !!!!!! alcohol is the worse drug that anyone can every do. I sympathize with you and your story as I too have been on and off methadone for 14 years. I agree about it being much harder to kick. I also notice that staff at the clinic treat you like a piece of poo. I have never falsified my urine drug screens and have remained sober for 4 years or so. I have had my phase removed several times for bogus reasons. One time when I was prescribed oxycodone/ percocet after a surgery to take AS NEEDED and for some reason it didn’t show up in my UA. Which could have been for several reasons. Which was infuriating because I had remained clean for several years. Plus even though I have a the highest phase which is every 2 weeks, I am still at the clinic 4-5x a month. We are required to call every day during dosing hours (M-F 5:30am-11 am, Saturday6-8:30am) to check for a random drug test and or a bottle check which also requires a drug test. So, I end up there way to often. I disagree with you about discouraging others from methadone. Methadone has saved my life. I has given me my life back and I am able to function as a Normal person. I do consider myself as clean and by law I am also considered drug free despite what that Roy dude said. Roy seems like a very close minded person who has probably never felt what it is like to be physically dependant. What it’s like to want so badly to stop but, knowing that if you do you’re going to be physically sick and unable to care for yourself or your family because of withdrawals. He obviously has never walked down that road. He reminds me of the ignorant people who I used to see in AA or NA who would scoff at people on methadone because they felt “better than”. These type of people do not stay sober for long. They’re too concerned about what everyone else is doing instead of actually doing the work it takes to maintain a sober lifestyle.